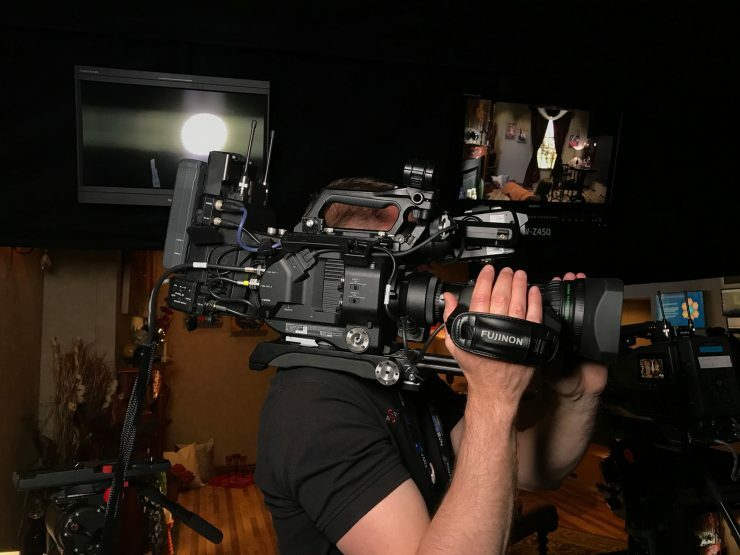 Sony has announced the LA-EB1 E/B4 Mount Adaptor for FS7/FS7II, which as the name suggests, lets you mount B4 broadcast ENG lenses on your FS7/FS7II cameras. Image circle is expanded to Φ13.5mm by magnifying the optical system. 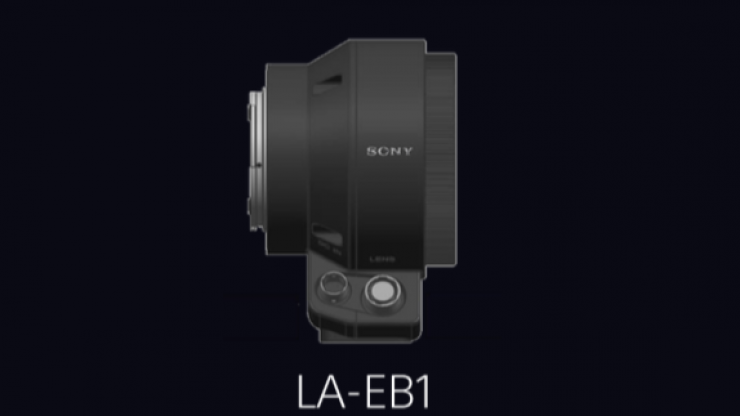 Sony claims that using the LA-EB1 E/B4 Mount Adaptor only results in a light loss of 0.6 stops. 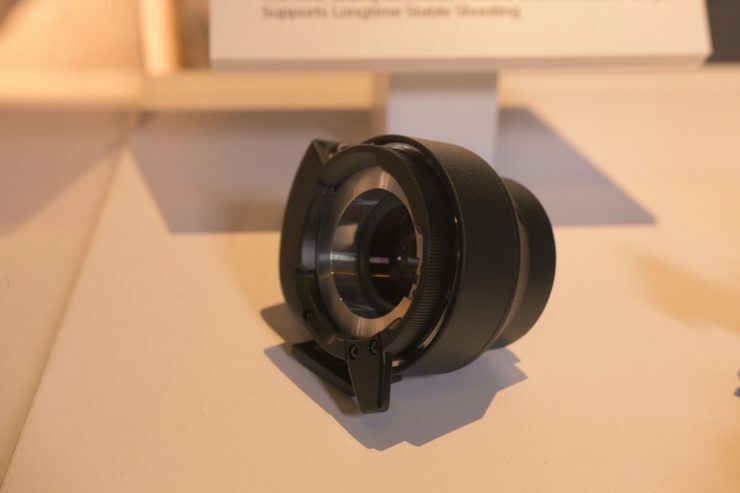 It’s nice to see that Sony has included Auto Lens Aberration Compensation as a common problem when using B4 lenses on CMOS sensors is the proliferation of chromatic aberration. Now, if you use this adapter you can only do so in the 2K center scan mode. As the LA-EB1 E/B4 Mount Adaptor communicates with the Sony E mount you can get real-time focus and iris information displayed in the viewfinder. LA-EB1 E/B4 Mount adapter seen here combined with a Fujinon B4 lens and the CBK-FS7BK ENG-Style Build-up Kit for a shoulder-mounted camera similar in concept to traditional ENG cameras. We are assuming that because the adapter is communicating with the mount that it will also be able to supply power to a B4 lens which is required for driving the servo mechanism. 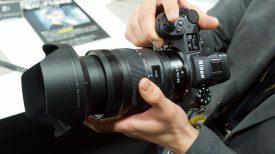 MTF Services has been making a B4 2/3″ to Sony E-Mount Lens Adapter for years. However, the adapter is only mechanical and it doesn’t supply power to a B4 lens and it doesn’t communicate with the camera. The LA-EB1 E/B4 Mount Adaptor as part of a built-up FS7 kit. I think the LA-EB1 E/B4 Mount Adaptor for FS7/FS7II is a great idea. With plenty of affordable second-hand B4 lenses available, you could pair this adapter with your FS7/FS7II to create a pretty nice run and gun documentary or news camera package. 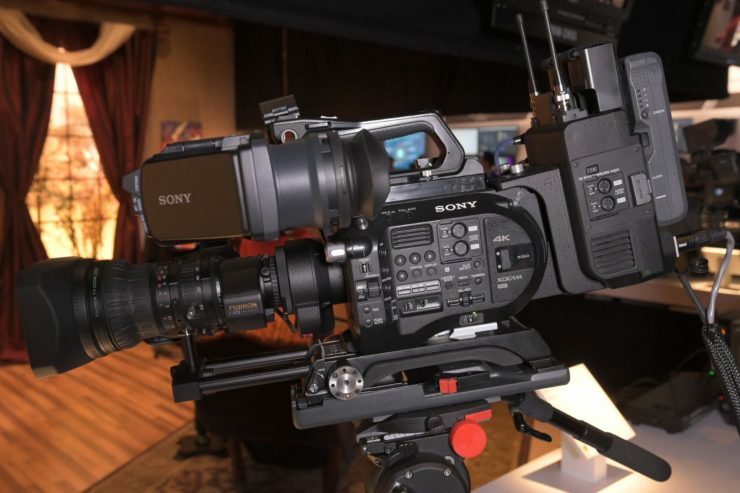 It’s fairly clear that Sony is trying to push the FS7/FS7II into more broadcast environments. With the announcement today of the LA-EB1 E/B4 Mount Adaptor and the CBK-FS7BK ENG Style Build-up Kit, you can turn your existing camera into a pretty workable ENG solution. I still feel this is all a bit late by Sony. These products should have been released years ago. 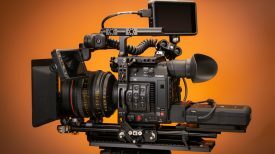 A lot of Sony FS7/FS7II owners already have accessories and solutions in place for using their cameras. 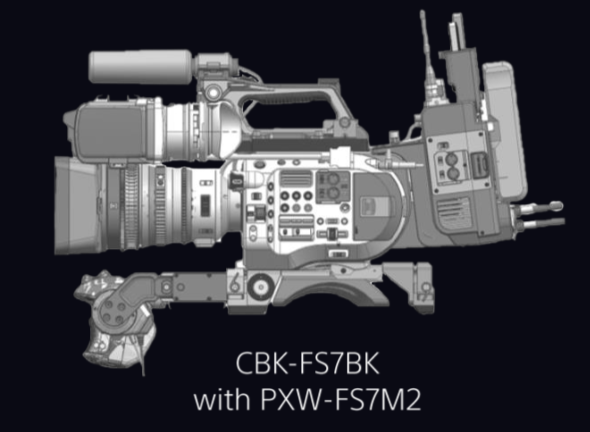 While I can possibly see the LA-EB1 E/B4 Mount Adaptor being used by some shooters (if it’s a reasonable price), I’m not so sure about the CBK-FS7BK ENG Style Build-up Kit. 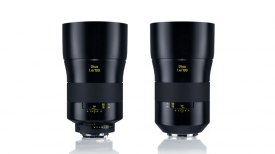 When it’s released in December alongside the CBK-FS7BK ENG Style Build-up Kit, the LA-EB1 E/B4 Mount Adaptor will cost €5,000.